After a frankly classical training including two Masters degrees (performance, UofM 2001 and piano pedagogy, UL, 2003), two first prizes at the prestigious Canadian Music Competition (1997 and 1998) and a solo performance of Beethoven’s second with the Orchestre Symphonique de la Montérégie (1997), Rachel Aucoin specialises today in folk music accompaniment, since her first appearance at the Carrefour Mondial de l’Accordéon in 1999. She never imagined this apparently innocent performance would change her musical destiny. A window on the world had just opened and showed her the way to her heart’s music where she would meet with her Acadian ancestors’ spirits, bringing out a family tradition rich with singing, dancing and fiddling; kitchen style. She even discovered recently her great-grandfather was certainly one of the first accordion players in Cape Breton Island! She first appeared at numerous festivals in Canada, the U.S.A and abroad as the pianist in Domino, giving her a solid experience as a dance back-up musician. In addition, Rachel has recorded with many artists such as American fiddler Laura Risk, Vermont-based signer-songwriter Michèle Choinière, as well as many other Québécois masters (Claude Méth?Francine Desjardins, Réjean Simard, Jean Duval, Frank Sears). Last year, she recorded on Great Meadows label Raz-de-marée/Tidal Wave’s debut recording, showing her percussive, rich and sensible improvised accompaniment. More recently, Rachel formed a duet with accordionist Christian Laurence, with whom she performed again at the world-renowned Carrefour Mondial de l’Accordeon, in 2005. The duet, from now on called Duo Christel, play, through original compositions, a beautiful symbiosis of meditative flow, folk-inspired, celtic colors and European accents, which naturally lead to the recording of their first production entitled sur un air d’aller. Nevertheless, Rachel meets her greatest interest and passion through teaching. 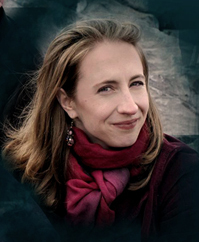 Approached by the University of Montreal’s preparatory school in 2005 to create an innovative program for piano students, she is now busy building a bridge between the spontaneity and immersive musicianship of her folk experience and the aesthetic beauty and refinement in the artistry within her classical music education. Check out more about Rachel and Raz-de-marée/Tidal Wave at www.tidalwavemusic.com, .